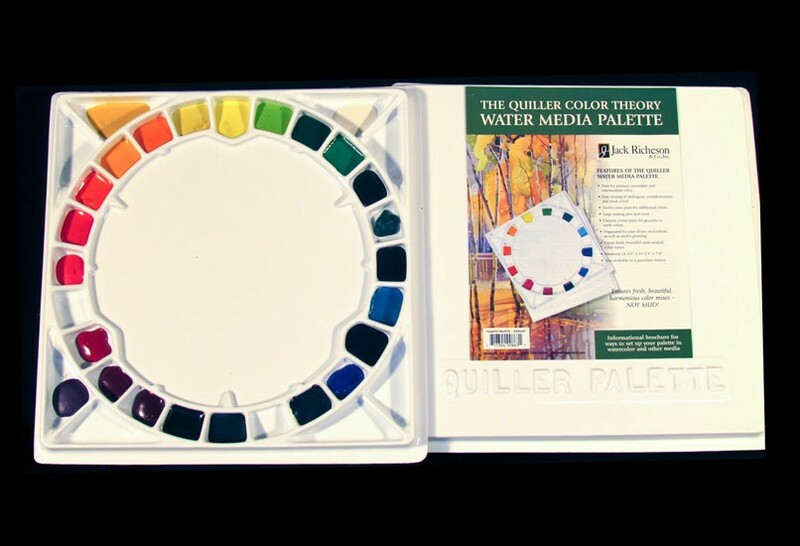 This plastic palette is ideal for transparent watercolor or the M. Graham gouache, and it can be used either in the studio or on-location. 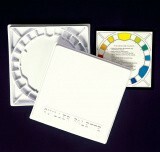 It comes with a form-fitting lid to keep the pigment moist. Enclosed is an instruction guide to help arrange the palette. 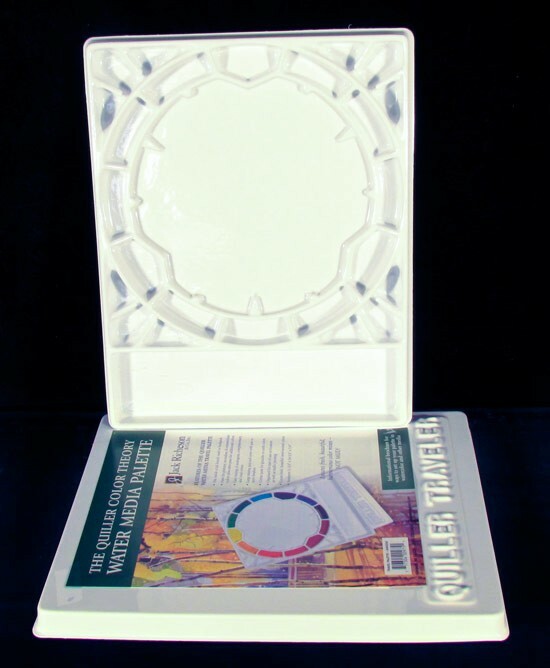 This plastic palette has the same round palette format as the standard palette but with a smaller circumference, a brush holder and a side wash basin as well as the one in the center of the wheel. This palette has a form fitting lid and will fit inside many of the French easels. This elegant, hefty, and beautifully smooth palette is arranged for ease of mixing primary, secondary and intermediate colors. The heavyweight construction makes this palette ideal for studio use; it will not slide around. The surface prolongs moisture of paint and makes cleanup a breeze. Comes with a plastic dust cover. 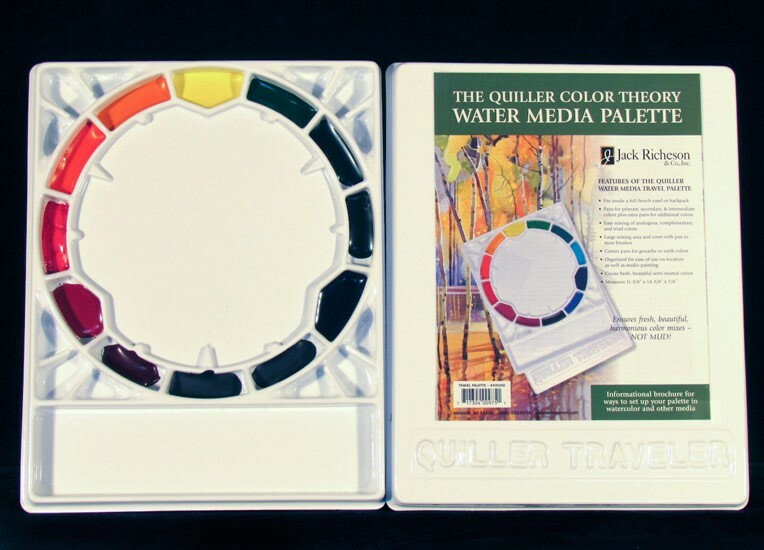 A great deal - the Quiller Traveler Palette already arranged and ready to go! Each of the 12 wells holds 5 ml. of watercolor paint. A diagram showing the placement of the color in the palette will accompany the order for future reference. 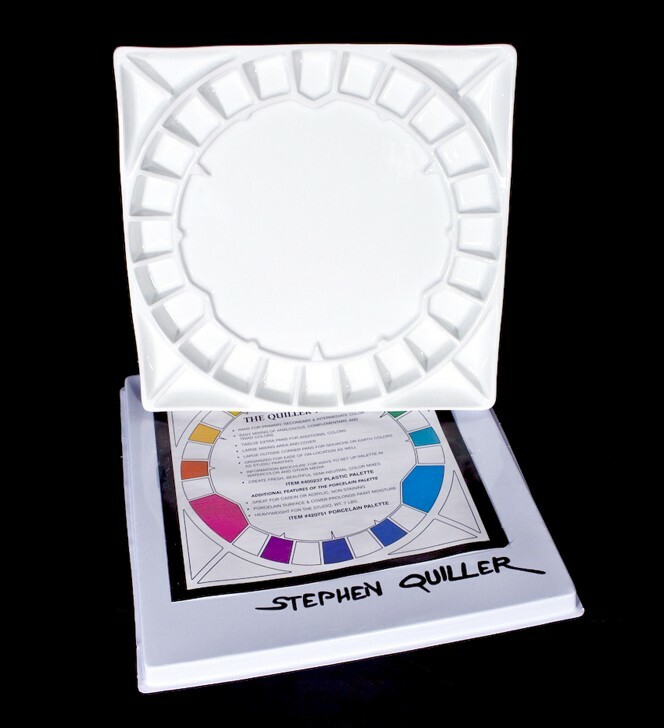 A great deal - the Quiller Standard Palette already arranged and ready to go! Each of the 25 wells holds 5 ml. of watercolor paint. A diagram showing the placement of the color in the palette will accompany the order for future reference.